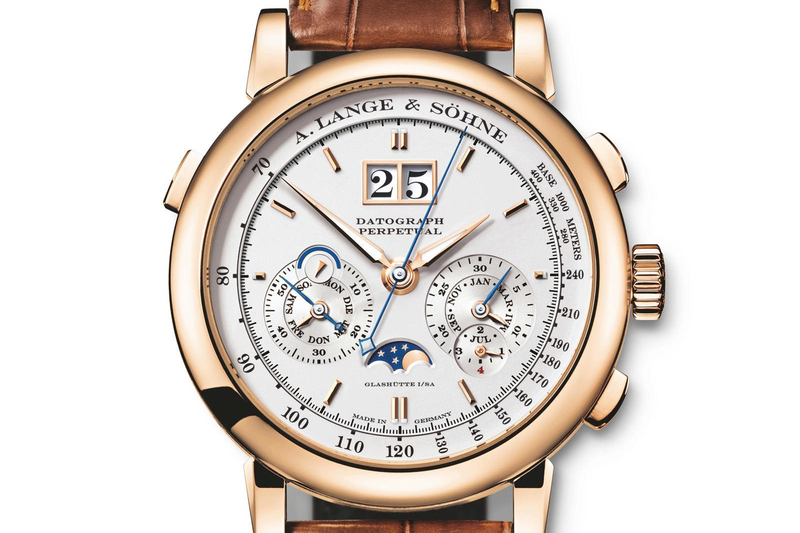 Lange’s Double Split, a unique double-rattrapante chronograph, and the two-complication Datograph Perpetual, which unites a flyback chronograph and a perpetual calendar, are now also available with the classic combination of a pink gold case and a lustrous argenté dial. 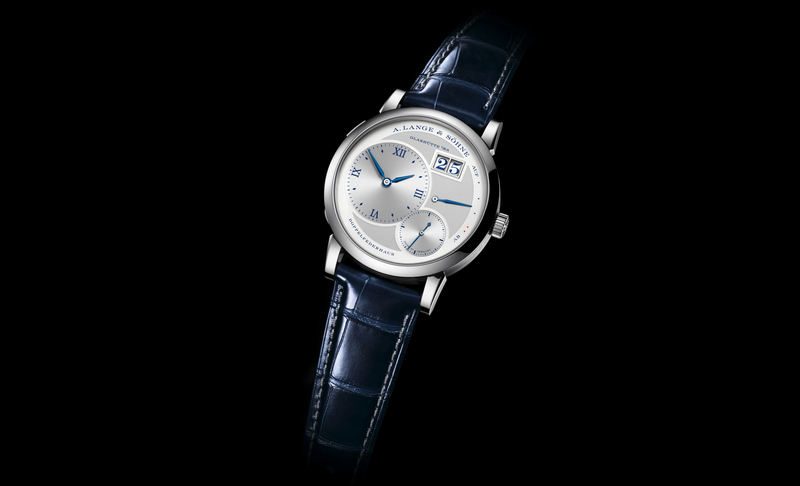 When it was first presented in 2004, it marked the dawn of a new era in chronographs: the DOUBLE SPLIT by A. Lange & Söhne. 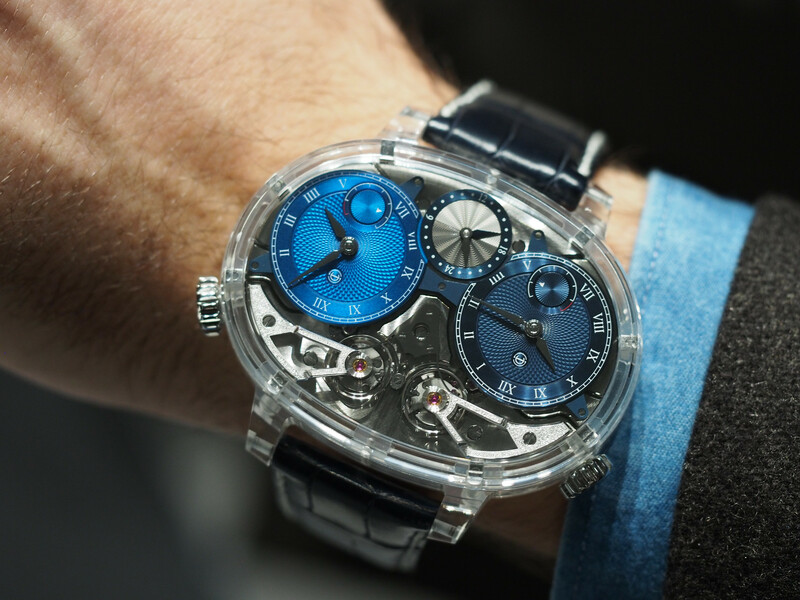 Its double-rattrapante mechanism not only drives a rattrapante hand on the 60-seconds scale but also has a jumping minute counter. It was the first mechanical chronograph that allowed comparative measurements of events lasting as long as 30 minutes. 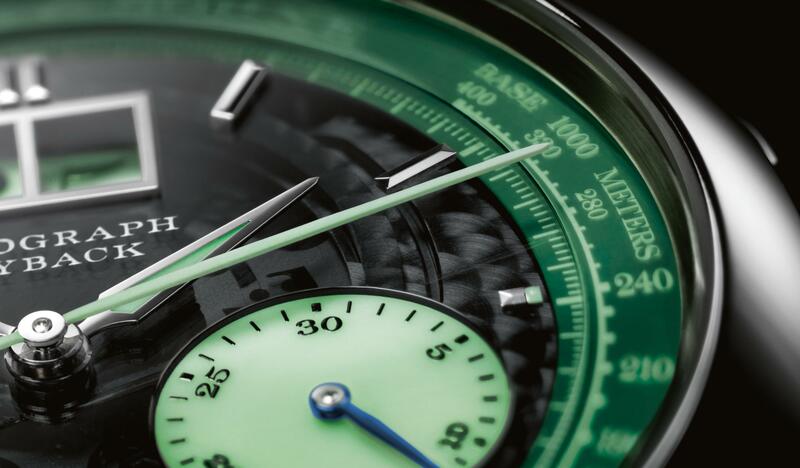 The Datograph Perpetual, introduced two years later, has the same escapement. In this watch, the highly useful convenience of a column-wheel flyback chronograph with a precisely jumping minute counter complements the fascination of a perpetual calendar that can be advanced with a single press of a button when it needs to be corrected in the year 2100. Both high-performance timekeeping instruments are now also available in eloquent pink-gold versions. The warm glow of the case contrasts with the functional clarity of the argenté dial encircled by applied solid-gold hour markers. The sapphire-crystal backs of these watches reveal the two perfectly engineered and meticulously hand decorated manufacture calibres of immaculate beauty.